What would an average cost be for porcelain veneers? Also, my dentist said he doesn’t recommend porcelain veneers because they don’t last and will chip. He suggested pulling my crooked tooth in front and replacing it with a bridge. What are your feelings on this? I am 45 years old and have wanted to do something with my crooked front teeth for some time, but don’t really know where to turn. It looks to me like you’re questioning the idea of having a front tooth pulled. Good for you! I wouldn’t let him pull my front tooth, either, when there’s a much nicer solution. This answer you’ve been given sounds typical for a dentist who hasn’t been trained in cosmetic dentistry. The dentist says something like, “These new-fangled techniques, they have problems.” And then they say some drawback, as if they knew all about it. However, porcelain veneers are a perfectly good, beautiful, durable restoration. How long do porcelain veneers last? Porcelain veneers will last for many years. They may last ten or twenty years or longer, if they’re done right. But maybe he tried porcelain veneers once and they fell off because he didn’t do it right. Or maybe the ones he did chipped. Porcelain veneers last as long as porcelain crowns or many other restorations. My guess is that your dentist is being perfectly sincere, and that from his point of view, the good old-fashioned way is the best. 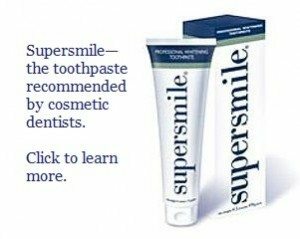 This just serves to illustrate a theme that I try to tell consumers throughout my web site: If you want cosmetic dentistry, you need to go to a dentist who has studied cosmetic dentistry. They don’t teach cosmetic dentistry in dental schools. You can get a dental license without knowing anything about it. I think some of these dentists really believe that they understand cosmetic dentistry, but they don’t realize how much they don’t know because they’ve never really seriously studied it. Porcelain veneers for crooked teeth is an excellent treatment. And how much do porcelain veneers cost? Porcelain veneers done well cost about $900 to $1500 per tooth in your part of the country. A bridge across front teeth can look ugly, too, if it’s done by someone who doesn’t know much about cosmetic dentistry. In a couple of years you can have a dark line at the gumline. Plus, don’t think that a bridge is permanent. Dental insurance companies give them a lifespan of five to fifteen years. How long they last depends on how well it is done and on how well you take care of it. General information about the porcelain veneer procedure, what happens at each appointment, and how to care for porcelain veneers to make them last. Can I bleach my porcelain veneers after they’re put on? I’ve heard about Lumineers. What can you tell me about them? What’s a typical cost for porcelain veneers? Our cosmetic dentistry costs page has fee survey information about the costs of many procedures, including porcelain veneers. I want to eliminate the stains on the edges of my porcelain veneers. What can I do about my fake-looking porcelain veneers? What about DaVinci veneers? They talk about them on ABCs Extreme Makeover.